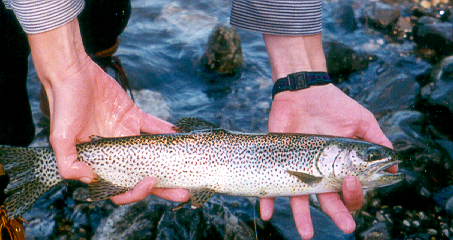 First coastal cutthroat trout symposium, held October 12-14, 1995, in Reedsport, Oregon. Sea run Cutthroat Trout: Biology, Management, and Future Conservation. Second coastal cutthroat trout symposium, held September 29 – October 1, 2005, in Ft. Worden State Park, WA. Coastal Cutthroat Trout Symposium, Biology, Status, Management, and Conservation. Coastal Cutthroat Trout Science Workshop, held June 6-7, 2006, in Portland, Oregon. Coastal Cutthroat Trout Monitoring Workshop, held June 5-6, 2007, in Vancouver, WA. Coastal Cutthroat Trout Symposium, Research, Status, and Conservation, held September 6, 2011, in Seattle, WA.